This is a wide ranging species that is stable in most areas except at the edges of its range. It is found in the Canadian Interior basin, upper Mississippi, Ohio and St. Lawrence River systems extending from Saskatchewan to Nebraska and eastward to Vermont and Quebec and south as far as West Virginia; and the Hudson River system of New York. 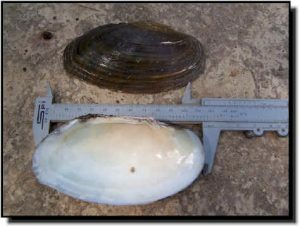 Comments: The creek heelsplitter has been found as an old relic shell in the Nemaha River basin so there is evidence it once occurred in Kansas. This species is closely related to the white heelsplitter and the flutedshell, but differs from these two by having lateral teeth that interlock. The general shape closely resembles the fluted shell without the flutes showing on the posterior end. 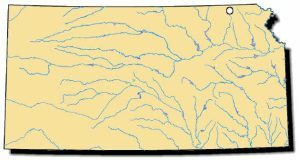 It remains extant in the upper Midwest and east to Ohio where it inhabits creeks and headwaters of small rivers. However, this species is listed as threatened in Iowa and Illinois.